What happens when you can't find a replacement for your speed reducer or it has been discontinued by the manufacturer? We hear this almost every day. In this instance, the Detroit based manufacturer had an old US inline gear drive. It had massive failure and needed all new gearing. The lead time was 6-8 weeks from the factory. We proposed several options. 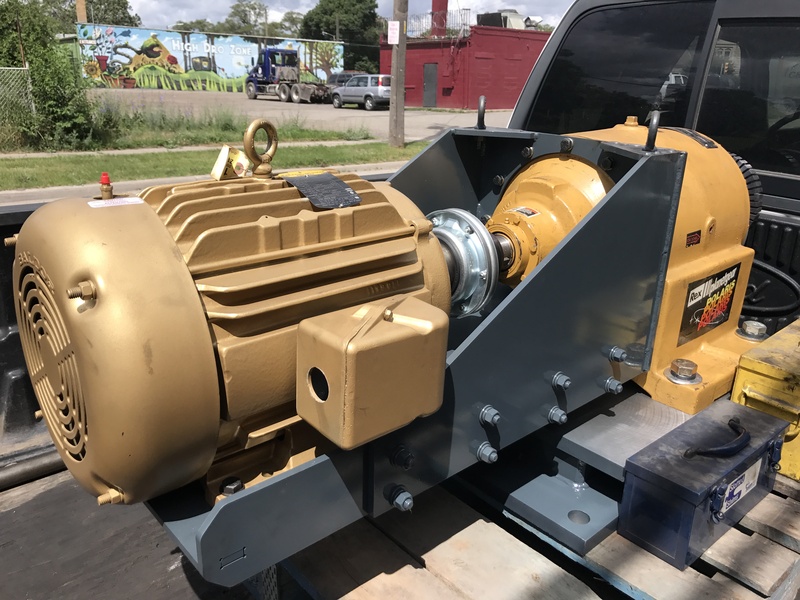 The customer chose to go with the Rexnord planetary gear reducer. We fabricated a custom motor mount and more importantly a custom drive base. The drive base matched the output shaft center and bolt holes of their old reducer; making installation simpler.